Many wireless LAN (WLAN) managers focus on fixing problems and avoiding security breaches, but WLAN performance optimization is often not given the attention it deserves. 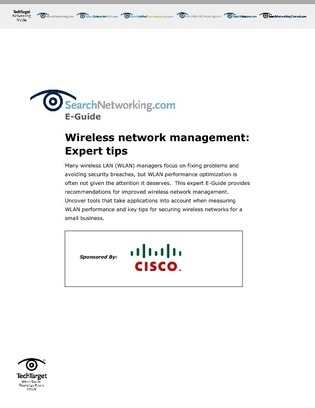 This expert E-Guide provides recommendations for improved wireless network management. Uncover tools that take applications into account when measuring WLAN performance and key tips for securing wireless networks for a small business.